Project — Bluewhale, was first conceptualised on 1st April 2009. The objective: Release a huge banner over the clock tower on the last day of school or some other significant date. First thought of by Herrick in jest, Jarrel and I decided that we had enough expertise to give it a go, and so a fantasy was set for becoming a reality. Team members: Herrick, Jarrel, Justin, Michael, Xi Min, Jian Xiang and me. Back at that time, the clock tower was still easily accessible and anyone could just go up and down with ease. The planned released date was somewhere in term 3 after the midyear exams, so planning was only arbitrary until more information could be obtained. Reconnaissance began in June when I made 4 trips up to the clock tower, one trip with a measuring tape to generate our own set of blueprints. They are available here. To get the height of the tower, I took a picture of it, and together with the dimensions of a single tile on the clock tower, did a pixel count to roughly determine the height of the tower. These dimensions are also available here. 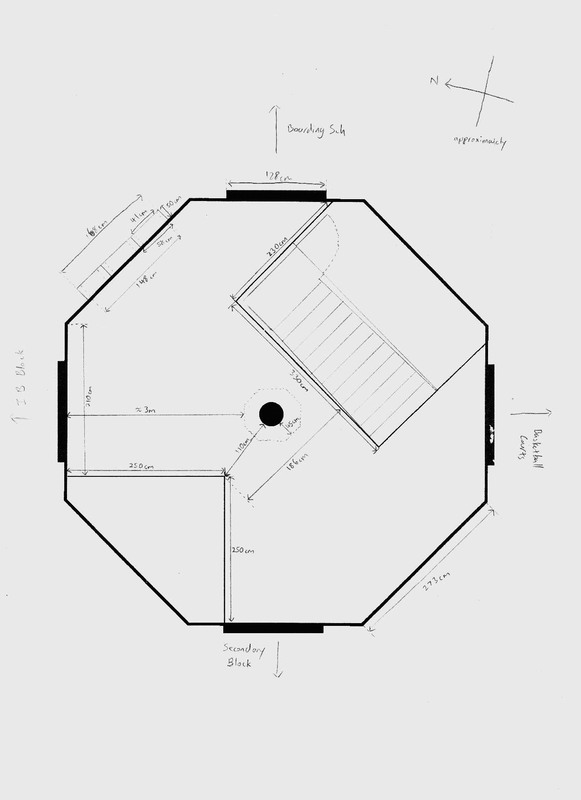 Planning began in the middle of June when all the blueprints had been generated from the recon missions. 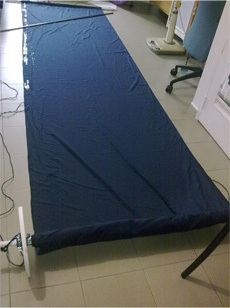 The banner would take the form of a scroll, made of 2 poles with the banner rolled up around one. The higher pole would be fixed to the inside of the clock tower by rope while the bottom would have discs attached on both ends with ropes tied to another rope in the clock tower by a butterfly knot (the knot on shoes with laces). Since we would rather not have a person up there releasing the banner during assembly and thus getting caught, we decided that a self-deplyment mechanism was necessary. Remote would be too costly, so we settled for a timed deployment. 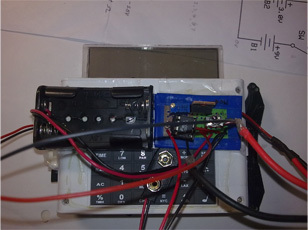 An electronic circuit would be connected to the buzzer of the MAS alarm clock (which we obtained during the Careers' Fair 2009 in our school) and would turn on a motor once the alarm rang. The motor would pull at the rope thus releasing the knot and letting the banner go. The discs on the bottom pole were to prevent the banner from getting caught by the ledge. Term 3 saw our entire level caught up with exams and final deadlines for submissions, and the project had to take a backseat. We were getting rather anxious as the final exams started looming. The project had to begin phase 2 - construction. It did not help at that time either, that the estate office decided to start locking every single door in the school. Even doors with no built in locks had latches fitted and then padlocked. No surprise, the clock tower was locked as well. This was a very large set back. 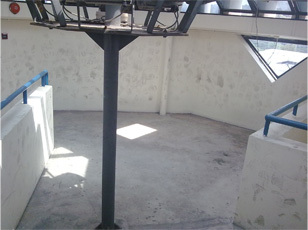 No access to the tower would spell the end of the project. The scout for an alternate route thus commenced. On honours day, 28th August, we scouted the new route into the clock tower for the second time, the first being about a week or so before. Armed with tape, we bugged all doors so that on the night of preparation, we'd know if it was safe to leave our equipment up there unhidden. 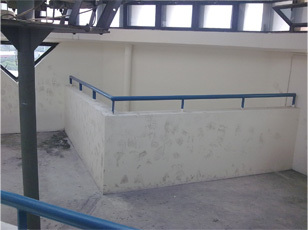 The new route involved taking the stairwell at the back of the auditorium, climbing out of one of its windows to a restricted balcony, climbing up a few ledges with air-con compressors, and entering through the side doors, which was very surprisingly unlocked. With the final reconnaissance mission having succeeded so beautifully (we had now full access to the clock tower albeit a bit of inconvenience) everything had to be on full steam. We had already begun construction that same week. 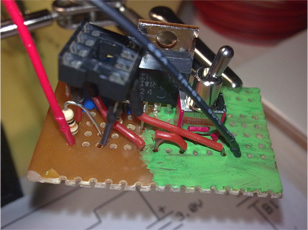 I was tasked with designing and creating the electronic triggering circuit, while Michael was brought in for getting the materials. The rest of the team painted, drilled, and assembled part of the equipment while testing the rope mechanism. 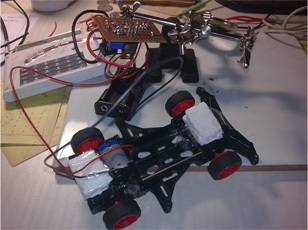 The electronic device with the MAS clock is mounted on to the chassis of a Tamiya mini 4WD and the circuit basically takes the alarm from the clock as an input to turn on the motor of the car. 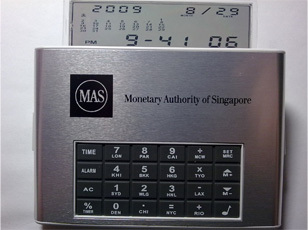 To do this, the small input from the MAS digital clock of about 0.3V is fed into an op-amp which is balanced using a potential divider such that the 0.3V is enough to drive it to full saturation. The op-amp then switches on a transistor which turns on the motor since it doesn't produce enough current by itself. 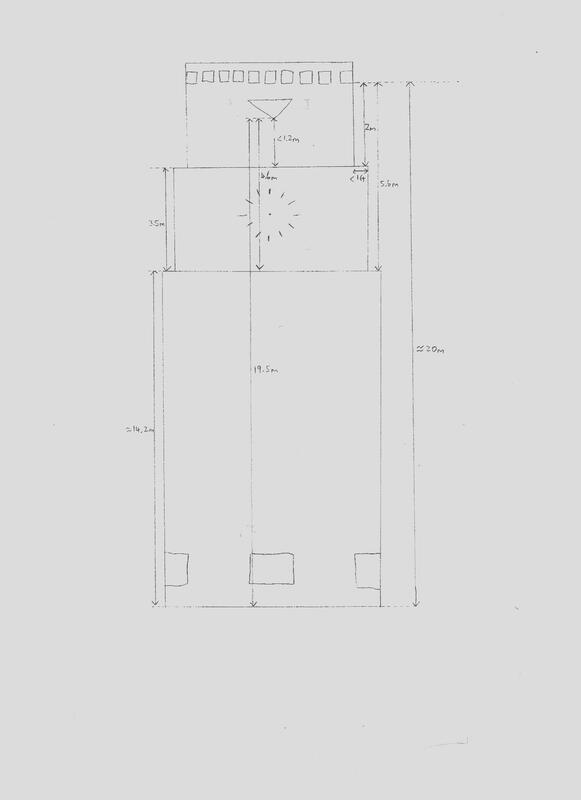 The full circuit diagram is also available here. We knew we were running out of time as the term was ending the next week. 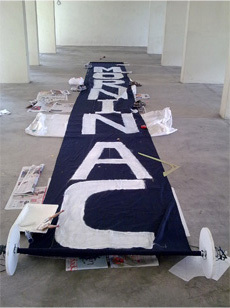 Thankfully we had teachers' day to do most of the labour intensive work - painting the banner. My teammates would agree that it was the most difficult task of all. We brought all the equipment to Herrick's house the day before teachers' day to assemble and to conduct trial runs. By then, I had started to monitor the weather forecast for prospects of rain. The set-up had changed somewhat since when we first started planning. Instead of a butterfly knots, the releasing ropes had loops on them which were connected to another rope with a loop by a locking pin — a pair of scissors. The motor that was supposed to pull the release string was scrapped since it would prove difficult to mount. 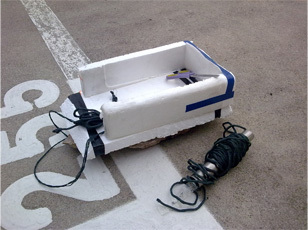 Instead, a Tamiya car was to upset the unstable equilibrium of a heavy brick that would topple and pull the scissors free from the loops thus releasing the banner. We are definitely grateful to have conducted the trial runs, for the runs brought out numerous problems with our set-up. 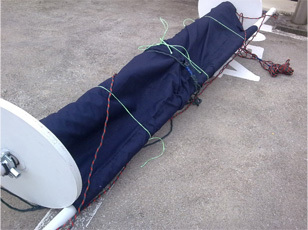 Firstly, the release ropes for the lower pole had originally been merged into one. This caused the banner to get stuck halfway when released, as shown in the first video. To solve it we simply separated the ropes. 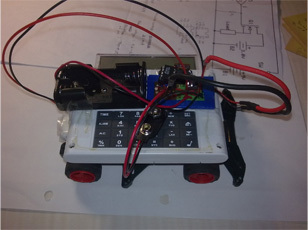 Secondly, the car with my timer circuit proved to be unreliable due to friction and other minor issues. After a few trials, we managed to solve all the problems and it functioned exactly as intended (the second video). 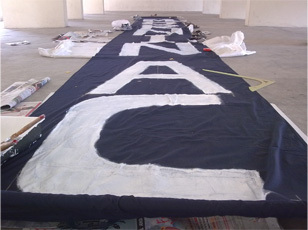 We spent the entire teachers' day painting the banner during which it rained, causing even our quick dry paint to take till evening to dry. Thankfully, before sunset, we managed to attempt the third trial run (video at the bottom) which proved to be successful despite encountering strong winds which we were quite assured that would not happen in our school. 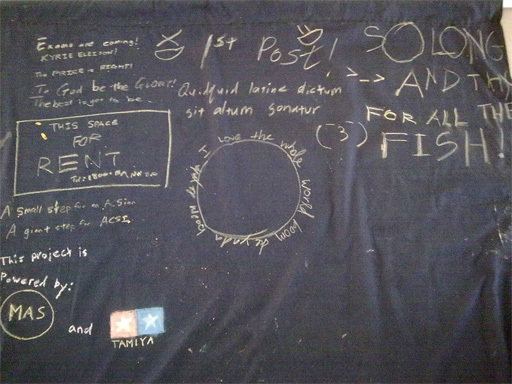 We even put in some signatures on the top of the banner as a triumph of the first project that was so big and so impactful! There are no more pics from here onwards of course, as time was crucial, and we had to remain as undetected as possible. The very next day was the beginning of phase 3 – Execution. Our execution phase would take place over 2 days so as to give us more allowance. That evening, wearing caps to hide us from security cameras, we sneaked our equipment from our storage room up into the clock tower and begun setting up part of the equipment just as it got dark. Time was on our side at that moment, for we could take the entire night to set it up if we wanted to. We were working under torch light to keep our plan concealed. Everything went smoothly without a hitch and we emerged around 9pm to join a group of students going home after a study session. Our timing could not have been better. By leaving the school together with other students, it kept us from arousing suspicion from being in school at such a late time. The morning had arrived. The one we had planned for and worked on for 5 months. A real exciting moment it was. I called the weather forecast just once more, and there was no prospect of rain, luckily. At 5.30am, we assembled at the designated meeting area. Our execution team consisted of more people than the original team, mainly for watch and one more for placing an extra lock over the padlock to hinder the estate from reaching the clock tower and removing the banner too soon. With gloves and caps again, we hurried through the new route for this time, time was against us. 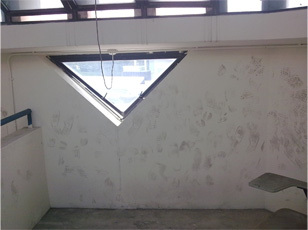 Staying too long up in the clock tower would put us at immense risk of getting caught while going down as one part of the route ran just beside the corridor to the staffroom. All of us were anxious. We had only one shot at this and we had to make it work. With the feel of blood pumping through our veins, we tied the last few strings and gave one last test to the circuitry. That was when horror struck! 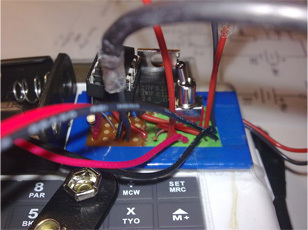 A black wire had come lose and was dangling freely from the circuit board. Under torch light, it was impossible to tell where the wire had originally been, and considering that the device had been taped nicely down meant that there was no time to disassemble it to trace the problem. The schematics of the circuit were in my head no doubt, but not the layout. I had no soldering iron to reconnect the circuit at any point. I panicked. There was no turning back now. The first traces of daylight had already begun to light up the sky. We had just over ten minutes if we were to get out of there safely. If we were to abandon the project, we would have to retrieve the parts another time for another trial, and with the exams coming, it would have to be put off indefinitely, again. Always use black wires for negative leads and red ones for positive. It was the black that was loose, and it only meant one thing: reconnect it to the ground. I wedged the bare end of the wire between negative of the battery and the battery holder where the spring held it in place, and gave another test. It worked. Good practice had saved me. Herrick and Jarrel lifted the rolled up banner and set it out of the window. The locking pin was set, and I was holding it till it had enough tension to prevent it from prematurely firing. �Here comes the tension!� Jarrel said as he released the last safety string. There was a sudden jerk as the bottom pole unrolled a bit and the rope that I was securing took over in holding the bottom pole. This was the rope that once released, would allow the banner to unroll. The brick was now balanced. The car was in position with the alarm set to ring at 7.35am. 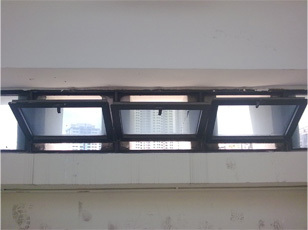 The banner was hanging outside the window, with the upper pole secured to the inside of the tower, and the bottom pole secured through a locking pin to the inside of the tower. The scissors was tied to the brick, and all was set to go off. Only one last thing to do: run. We had overshot our original plan by five minutes. Nothing too serious, but we could not delay any further. Nevertheless, we had to slowly get out of the room for any sudden shocks, like slamming a door or getting caught on one of the ropes, could set the mechanism off and prematurely unroll the banner, which would immediately grab unwanted attention. Once out, we fled and returned to our classes acting as per normal throughout the whole day. The rest of it however, did not go according to plan. An audience sees the final result, the display, the final output of any process, and all they saw was a banner that unrolled a few inches, not even enough to reveal the first letter. I would not say that the effort had gone to waste, for after all we have been through, we had learnt quite a lot. I would say however, that we had totally failed our main objective: Release a huge banner over the clock tower on the last day of school or some other significant date. Everything had flowed smoothly: the rope mechanism, the timing circuit, the brick weight, the weather, the time of release, everything. I had synchronised my watch with the alarm clock and just on the dot at 7.35am, the banner dropped�� a foot. It had to be stopped by a pesky ledge on the side of the clock tower that I had underestimated to be a foot wide. 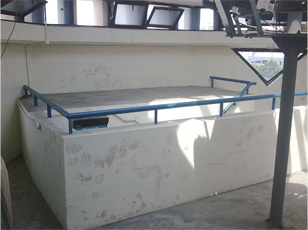 Cause of project failure: STUPID FREAKING LEDGE!! !